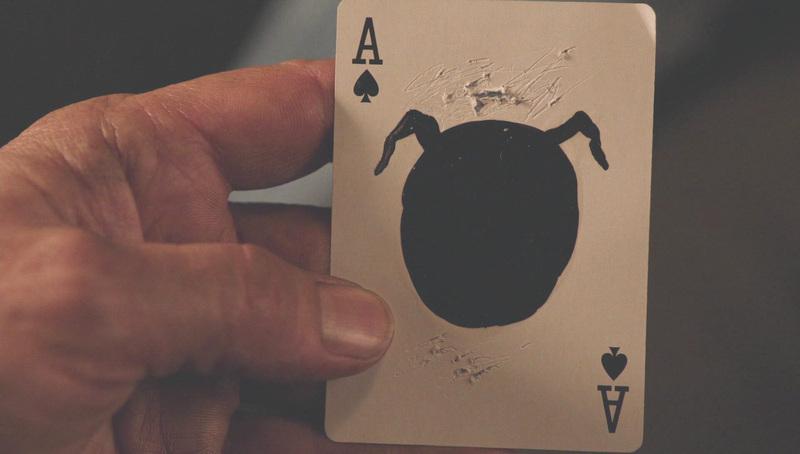 Remember AmnesiaCoop following the 7-sign of the Lucky 7 logo with his finger? Could it be he recognizes it as one of the 'wings' (i.e. 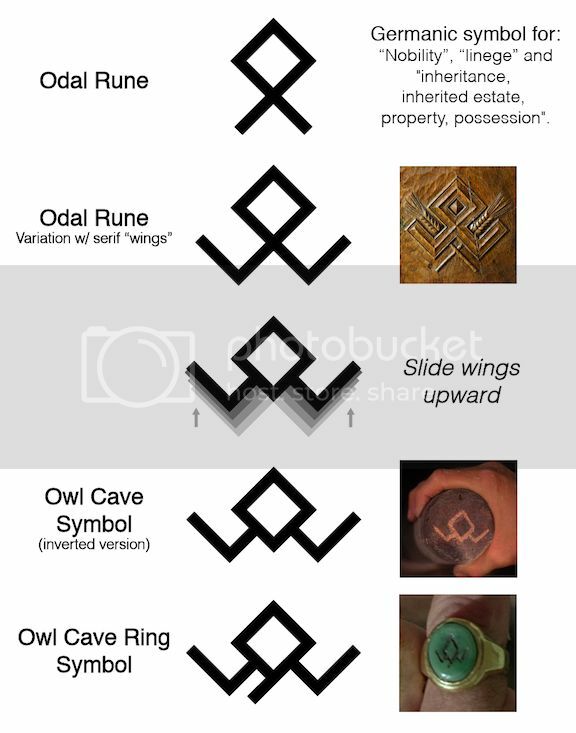 the right wing) of the Owl Cave Symbol? Which looks like two peaks with a square in between. 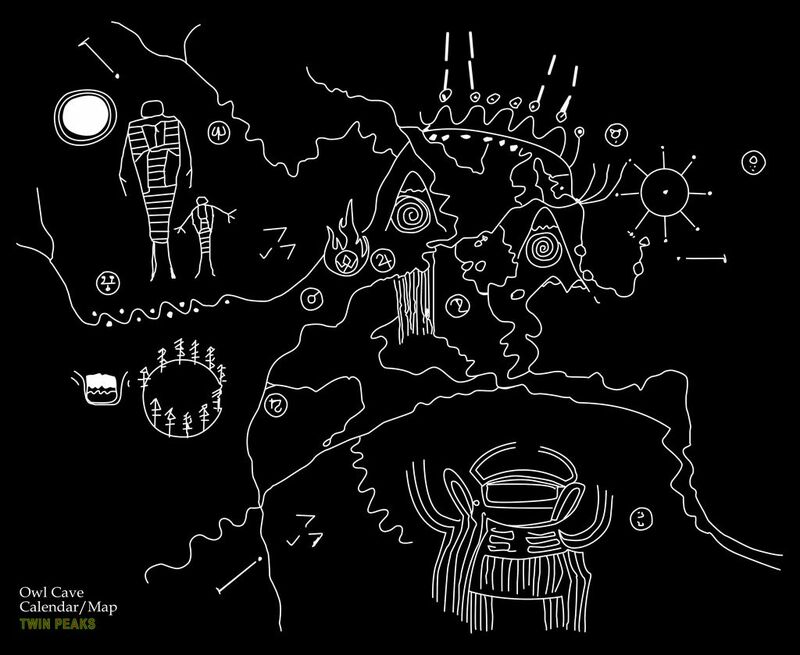 And what lies right inbetween the two peaks of the Owl Cave Drawing? Interesting thought. I saw other people associate the number 7 on the case file as suggesting luck and episode 7 (he definitely is lucky for ducking at the time during the first assassination attempt and defending himself from Ike). Not sure I buy into that so much. Now I'm thinking Dougie/Dale was attracted to it because of the similarities with the lodge motifs. And then we have this one, turning the 1989 diamond pitchblack, and trying to erase the 1964 and 2014 'openings'? And from searching around, I can only come across the owl & extension on the jade ring (but it's often difficult to make out, so assuming there's just one version - and just the one ring...) I also came across a suggestion that the symbol represented an ear of corn/maize. So the full symbol/map could be formed from elements of 2 peaks, owl, corn and...? Wasn't it 'one chants out,' rather than chance?